R. C. Carrier near his home in Crockett, CA. Photo by John Noltner. Drawn to the frottoir, a metal rubboard worn like a vest, Carrier played with such greats as accordionist Clifton Chenier. 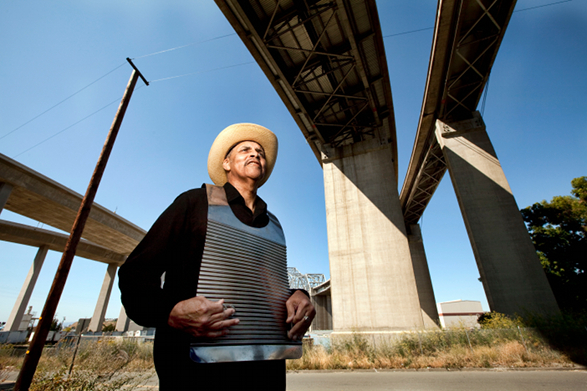 Now 62 and living in Crockett, California, he continues to play the frottoir and has performed with Motordude Zydeco and Andre Thierry & Zydeco Magic. In this clip, he talks about his early fascination with the instrument—and the thrill of holding a certain famous accordion.